Last week my Mum managed to manifest a chocolate Labrador puppy named Lola. Ok, that sounded weird hey? But believe it or not, it’s true! I shared the art of vision boarding with my Mum a few years ago, and since then she has religiously created her new vision board in January each year. Last year she had a picture of a gorgeous chocolate Labrador puppy on her board. This year the next-door neighbours bought just such a puppy. A few weeks later they decided that 2 full time careers, 2 small children and no back yard was not giving little Lola the best life possible. And so they gave her to Mum and Dad. Wow. The power of manifestation! After spending time with Lola, Mum and Dad these last few weeks I have seen first hand the real life benefits of owning a pet. The love, enthusiasm and joy they both give and receive from Lola is beautiful to watch! My parents are both over 60 and have no children at home, nor grandchildren to bounce on the knee as yet. The addition of this lovely little puppy has turned over a new leaf in their lives. Researching this topic further I can without a doubt believe the short list of benefits pet-owners experience. They have lower stress levels- who wouldn’t benefit from lower stress levels? They have lower cholesterol levels- with some of the top selling drugs being cholesterol-lowering medication, it stands to reason that quite a proportion of Australian’s could benefit from this one! They have lower blood pressure- a study actually showed that in a six-month trial, those who were given pets to lower their blood pressure had better results than those who were given medication! Pets can help encourage physical activity- dogs are obviously better than cats in this regard. Pet owners recover quicker from accidents and illnesses- I don’t know why, they just do! Magic! With all those beautiful gifts in mind, it got me thinking about how best to give back to our beloved animals. I started considering one of the ways I express my love- through good quality, nutritious food. Now I am no vet, but as a nutritionist I am acutely aware about how our diet affects our health. And I’d like to reason it is exactly the same for our animals. Have you ever read the food labels of tinned and dried dog food? There seems to be quite a few numbers, preservatives, fillers, sugars and grains that I can’t imagine benefit our pets. The simple rules I apply to my patients can also apply to our four legged friends. 1. Go for whole foods- straight from nature. Those processed meat logs and tinned lumps for dogs and cats have a whole bunch of rubbish in them. Feed your animals real meats, offal, bones, fish and so on. 2. Keep grains and refined carbohydrates low- No dog or cat out there has ever collected grains, hulled them and cooked them, so I don’t believe a diet high in grains is healthy for these types of pets. Grains increase inflammation and acidity in humans, and with the number of animal cancers and inflammatory diseases like arthritis increasing, it makes sense to me to keep grains and refined carbs to a minimum. 3. Go for organic where possible- avoid added chemicals, preservatives, colours and flavours and choose organic dog and cat food where possible. Good health food stores now stock organic dry food, tinned and frozen animal food. It is more expensive, but think how much you’re saving on blood pressure medication! 4. Human treats are not animal treats! As much as they may love them, your dog or cat will not benefit from sugary sweets, cakes or biscuits. If you want to reward your pet, then give them a pet-specific treat- there is a growing range of dehydrated pet goodies (like shark cartilage and liver pieces) available at good health food stores. 5. There should be no need for diet pet food. If your pet is overweight, it’s time to take a look at how much you are feeding them, what you are feeding them, and how much exercise they are getting. 6. In the case of illness, try natural medicine first. There are plenty of naturopathic and homeopathic vets around the place nowadays. If your pet gets sick- instead of heading straight for the chemical drugs, why not try some alternative treatments first. Homeopathy has a long history of use in animals with excellent results. Make sure to consult a professional in this area if your pet becomes ill.
Keeping these simple tips in mind, you will be able to give your pet a healthier, happier life. And really, when they come to greet you after a hard day, whole body wagging with joy and love, who wouldn’t want to give them the world? I wish I could manifest a puppy! I’ll find some pictures and make a vision board tonight. That really is an amazing thing. I mean that is amazing that your Mum got the exact same dog she put on her vision board. 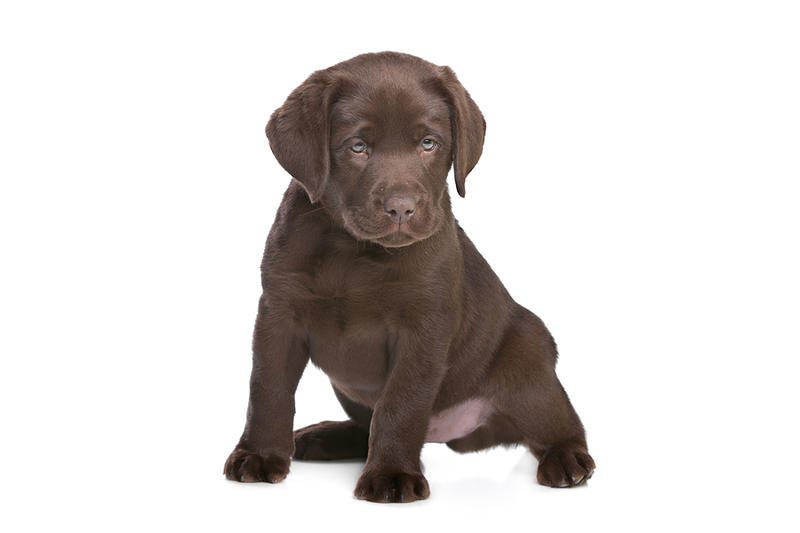 Chocolate labs aren’t even that common. That is really really cool! Next post: More Flavour Equals More Nutrition!